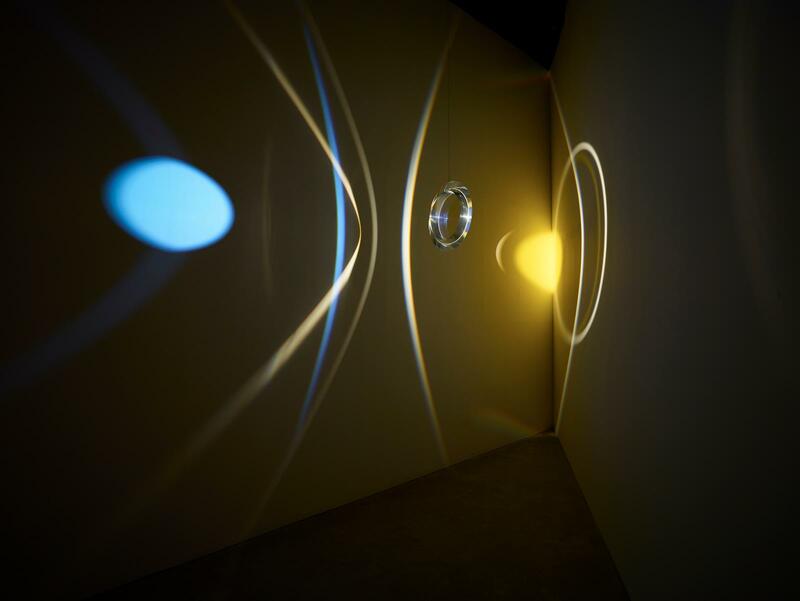 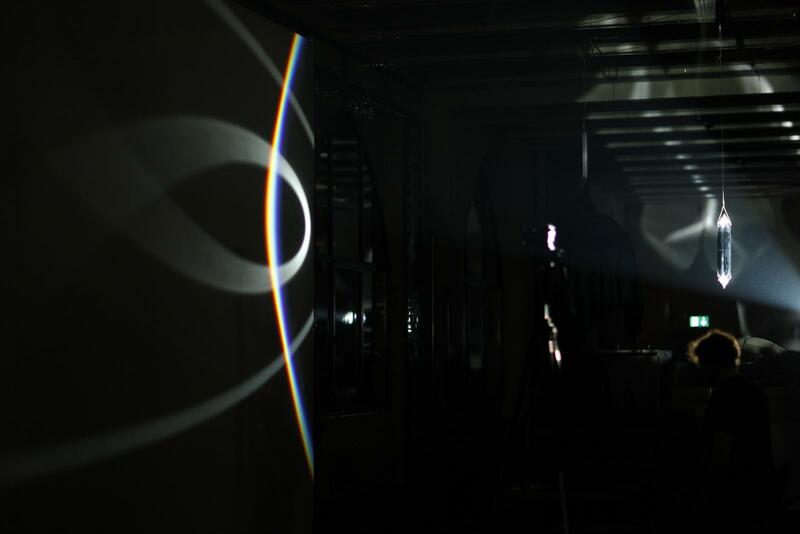 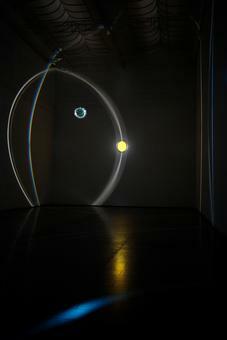 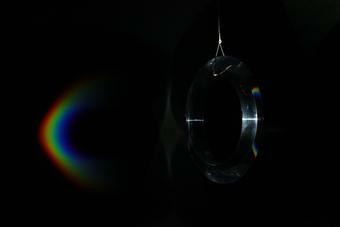 Suspended from the ceiling of a darkened gallery space, a prismatic ring with a pane of colour-effect filter glass at its centre slowly rotates within a beam of light projected by a focused spotlight. 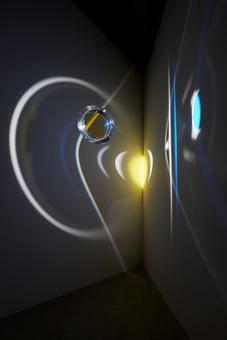 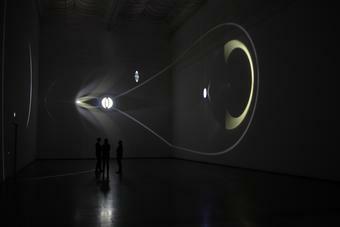 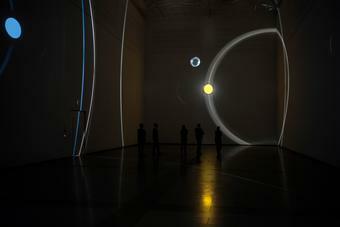 As the ring turns, it casts circles and arcs of light that move along the walls, scanning the space. 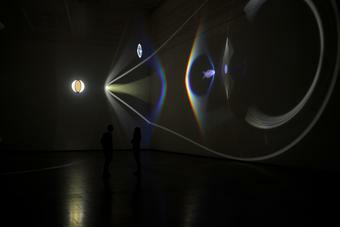 Some of these are single tones, while others display the full range of colours in the visible spectrum. Because of the properties of the colour-effect filter glass, the reflected light appears blue while the light that passes through the glass is yellow.